McLaren has confirmed it will unveil a new model on June 28, but it’s keeping quiet on the car’s identity. Until then, we’ll have to pour over this teaser image of the mystery car’s top-exit exhausts. We like how McLaren is channeling the Porsche 918 Spyder with this feature. McLaren isn’t providing many other clues. But the automaker says it will “deliver track-focused dynamics.” Equally cryptic, McLaren declares the car will “benefit from increased power, minimized weight, optimized aerodynamics, and enhanced driver engagement.” Much like the new Senna, which also has an unusual exhaust design, the new model will be available in limited quantities. 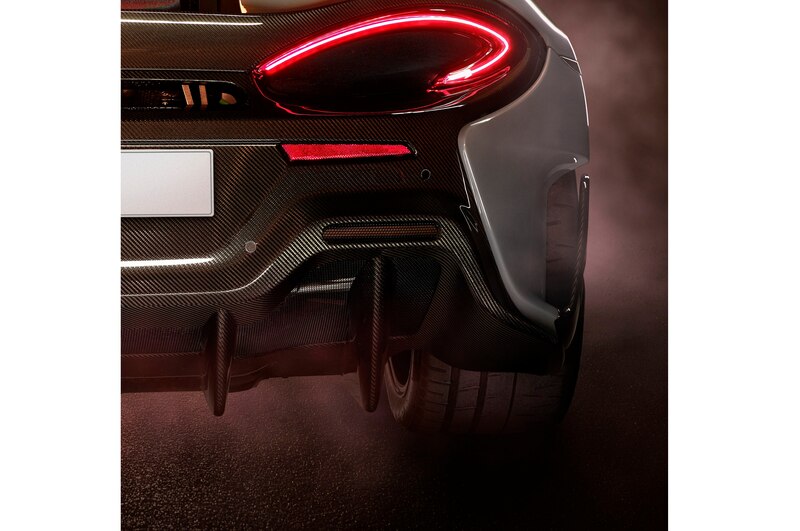 In another teaser, McLaren shows off the model’s back end, and it looks a bit like the 570. Could this be a variant of that Sports Series car? We’ll have to wait a few weeks to find out. After the new model makes its online debut on June 28, it will show its face to the public at the 2018 Goodwood Festival of Speed. The model is the fifth new car to be announced under McLaren’s Track22 business plan. Under this plan, announced in 2016, McLaren will debut 15 new or derivative models by the end of 2022. Half of these will offer hybrid powertrains.